Palmistry is the divine practice of interpreting character traits by examining the features of the palm, an ancient art tracing back thousands of years. In The Basics of Palm Reading, we discuss Major and Minor Lines; sometimes these lines form other shapes. Here, we discuss the meaning of the letter M formation. The letter M formation in Palmistry is extremely rare, so if you are able to spot a Letter M on your palm, it has a very significant meaning for you in this lifetime. This unique combination of four lines is made up of the three Major Lines , (the Life Line, the Heart Line, and the Head Line), and also one of the Minor Lines, which we call the Fate Line. Typically, you should check for the Letter M formation on your non-dominant hand first, but if you possess this formation on both hands, its meaning is intensified. Additionally, in Palmistry, it is also known that the hands each dictate certain parts of our being. For example, the left hand is the “receptive hand,” which represents emotions, intuition, psychic energy, and nurturing capabilities. The right hand is our “giving hand,” which represents the physical world of logic, action, reason, and ego. Remember that your palm lines are not fixed, and will change, appear, or disappear throughout your life. This is why it is helpful to be aware of the meanings within Palmistry, and keep an eye on your own as your journey through life! As this is a unique marking to have, those with this formation on their palm are gifted with enhanced intrinsic characteristics. If you have a Letter M formation on your palm, chances are that you have been blessed, and will continue to be blessed, with good fortune in this current lifetime. The letter M formation is associated with fortunate events, leadership, financial abundance, and consistent and excellent opportunities. It also reflects someone with the capability of thriving in the professional and career sectors of their life. They have natural self-discipline and motivation, and have a tendency to pursue careers that revolve around legal, political, or management positions. They make for strong businessmen and women, and can be successful at nearly any task they set their minds to. Other professional areas that this individual would be exceptionally skilled at include writing, journalism, and education. Regardless of the profession, the skills possessed within these individuals make them fantastic at making money! Furthermore, those with the Letter M formation are also known as the masters of uncovering deceit and being able to see through the lies of others. Nothing gets past these individuals, especially when it comes to being unfaithful and cheating. They have a miraculous sense of intuition, (more so the women who have this formation on their palm, but men are as well). 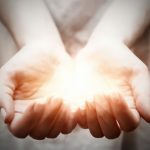 Of course, other characteristics have been predestined within our lifetime, but if the person who has the M formation on their palm understands their potential, they can embrace and utilize it to create the best reality for them.